It took 11 years for Kofi to make WWE consider him for the title opportunity. In the past month, Kofi was screwed by WWE chairman Vince McMahon, by getting replaced by Kevin Owens for the championship match. His skills were also extremely tested in a gauntlet match to prove his mettle. However, the Ghana-born wrestler finally came out strong and earned the championship match against Bryan at the super bowl of sports entertainment, WrestleMania. 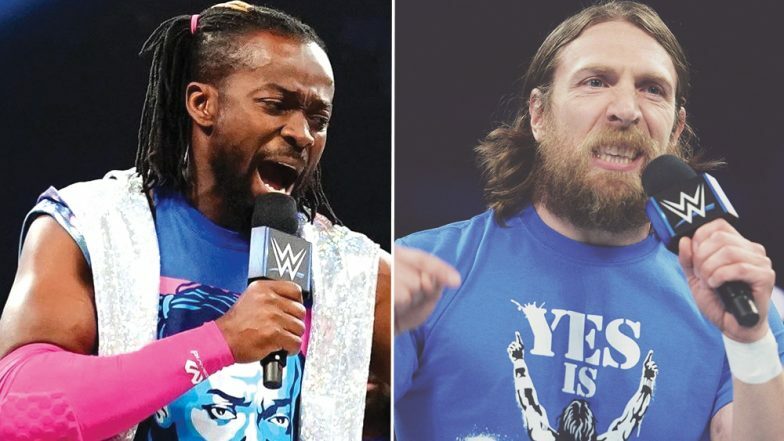 Click here to see the contract signing between Kofi Kingston and Daniel Bryan. WrestleMania 35: WWE Declares the List of Participants for Andre the Giant Memorial Battle Royal at Their Flagship Event! 1. Randy Orton and AJ Styles conversation at Kevin Owens show ended in a brawl. The Viper Orton will face The Phenomenal AJ Styles at WrestleMania 35. Click here to see the two superstars quarrel. 2. The USOS and Aleister Black and Ricochet defeated The Bar and Nakamura-Rusev in the eight-man tag team match. The USOS will have to face Aleister Black and Ricochet, The Bar and Nakamura-Rusev in a fatal 4-way tag team match for WWE SmackDown Tag Team Championship at WrestleMania 35. Click here to see the eight-man tag team match from this past week of SmackDown. 3. Click here to see The Man Becky Lynch addressing the crowd before she heads to face Charlotte Flair and Ronda Rousey for WWE women's championship at WrestleMania 35. We are all geared up for WWE flagship event WrestleMania as we are just four days away from it. The countdown has begun, and indeed the heat can be felt amongst Wrestling fans. It is difficult to predict who all will walk out as champions at WrestleMania 35, but one thing is for sure that we will witness some of the most exceptional wrestling action this Sunday. Stay tuned to our website-Latestly for more updates on WrestleMania.